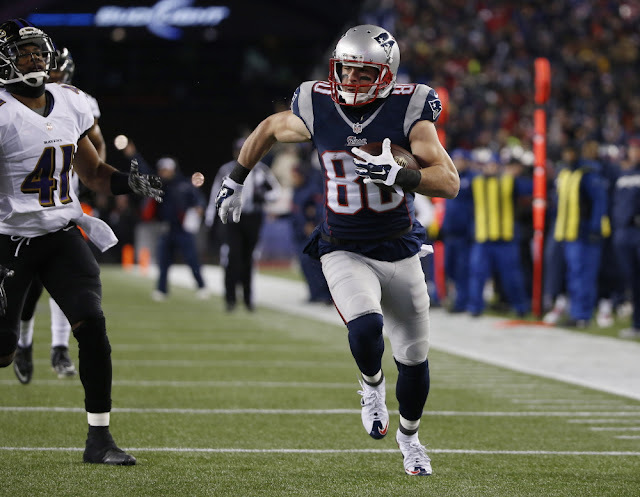 Is Danny Amendola's time in New England over? This report came out last week, but it's still worth mentioning. There have been rumors flying around that Danny Amendola could be on the unemployment line soon. Mike Florio of Pro Football Talk has reported that a source with knowledge of the situation said Amendola may be the odd man out in the wake of the Chris Hogan signing. Add Martellus Bennett to the mix and either way you slice it, you've got a dangerous group of receivers heading into next season. Amendola's $5 million base salary is one of the highest among the wide receivers on the team, but the Patriots could ask him to restructure his deal. Amendola is only 30 and had his best season with the Patriots last year, catching 65 balls for 648 yards and three touchdowns.